In Ukraine, as in other countries, there is a marked tendency to increase the number of patients with allergic diseases. 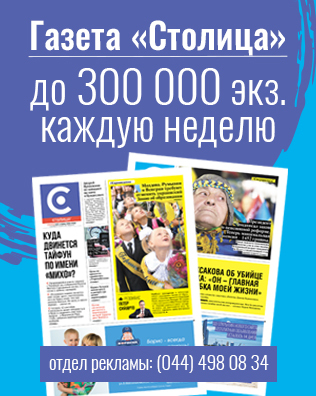 Thus, according to the official statistics, the incidence of atopic dermatitis (AD) in Ukraine ranges from 3–10%. 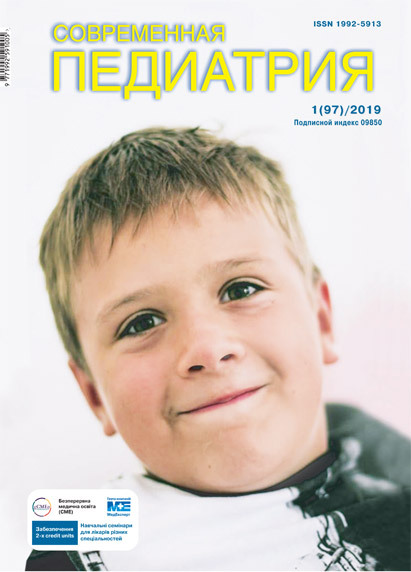 The issue of patients with atopic dermatitis is regulated in Ukraine by the relevant clinical guidelines, based on the World medical data, including PRACTALL Consensus report (2006), Management of atopic eczema in children from birth up to the age of 12 years (NICE, 2007), Guidelines on the management of atopic eczema, British Association of Dermatologists (2006) and others. Undoubtedly, the most effective aetiological treatment is aimed at eliminating exposure of agents that cause exacerbation. Atopic dermatitis only in 30–40% of children is associated with food allergies. There is increasingly sound confirmation of the growing role of herpetic infection in the occurrence of this disease. Materials and methods. In total 67 children with AD aged 2 to 17 years were followed-up, out of them — 32 patients with atopic dermatitis, infant form, moderate severity, and 35 with atopic dermatitis, adolescent form, moderate severity. The control group consisted of 30 apparently healthy children of the same age. The diagnosis of AD verified using diagnostic criteria Hanifin, Rajka (1980). All children were provided clinical examination that included collection of anamnesis, allergological anamnesis, physical examination, laboratory and immunological tests. We determined the parameters of cellular immunity CD3 +, CD4+, CD8+, CD4+/CD8+, SD16+, CD22+ using indirect immunofluorescent reactions with monoclonal antibodies produced by «Sorbent service» (RF), humoral — the content of serum immunoglobulins (G, A, M) was determined by the method for measuring low concentrations of antigens by single radial diffusion (Mancini et al., 1965), neutrophil phagocytic activity of phagocytic index and count numbers, IL-Iβ-levels in serum were determined using solid phase ELISA with a set of «Biotract», the level of IL-4 in serum by using a set of «Protein contour», the level of antibody immunoglobulin G, M to Herpes simplex virus (HS1/2), serum total IgE and sIgA. Results and discussion. After a course of treatment for cutaneous symptom, there were 0 points detected in 95.6% of children with AD, infant form, according to the SCORAD scale and 96.4% of adolescent form of AD. The toxic syndrome was arrested in 5–7 days of treatment in 98.6% and 99.3% of children with AD infant and adolescent forms, respectively. There was positive dynamics of hepatolienal syndrome on day 7 of treatment in 98.4% and 98.2% of patients with AD infant and adolescent forms, respectively. After correction of intestinal dysbiosis, there was observed a positive trend in days 10–14 of treatment in patients with AD infant and adolescent forms. After the comprehensive treatment the indices of cellular immunity, including CD3!lymphocytes, CD4 subpopulation CD8 cells, CD22-limfotsytytsiv (p<0.001) and proliferative activity of T-lymphocytes and phagocytic activity of neutrophils, significantly increased (p<0.01) in both groups, indicating a strengthening of nonspecific immune defence. After treatment in both groups, we observed a significant increase in IgG, IgA, IgM concentrations (p<0.001), indicating a normalization of humoral immunity in children with AD. Typical was the reduction in IL-4, IL-1β-almost to the normal values (p<0.001), indicating a significant decrease in the inflammatory process. After treatment the anti-HSV-Ig M and IgG anti-HSV-1 and type-2 normalized in 95.6% and 97.3% of patients with AD infant and adolescent forms, respectively. There was a reduction in total IgE to the level of control and sIgA concentration increased 3 times in children with AD. Findings: 1. The proposed integrated treatment was effective in 96.7% of patients with atopic dermatitis, infant form, and 97.3% of children with atopic dermatitis, adolescent form. 2. The integrated treatment of atopic dermatitis, infant and adolescent forms, caused by herpetic infection, contributed to a significant recovery of the contents of CD3+-lymphocytes, CD4+-cells, a subpopulation of CD8+ cells, CD22+-lymphocytes and quantity SD16+ cells and increase in the serum level of immunoglobulins IgG, IgA, IgM in children. 3. The integrated treatment of atopic dermatitis, infant and adolescent forms, caused by herpetic infection, contributed to a significant decrease to normal levels of IgG and IgM antibodies HSV1/2. Key words: children, atopic dermatitis, treatment. 1. Besh LV, Besh OM. (2007). Atopichnyi dermatyt u ditei: praktychnyi pohliad na problemu. Sovremennaya pediatriya. 3: 62—66. 2. Besh LV. (2009). Atopichnyi dermatyt u ditei: prosti vidpovidi na skladni zapytannia Zdorovia Ukrainy. 24: 21—23. 3. Dutchak HM, Synoverska OB. (2011). Osoblyvosti perebihu atopichnoho dermatytu u ditei. Zdorove rebenka. 6(33): 21—25. 4. Zaikov SV. (2010). Atopichnyi dermatyt u ditei. Dytiachyi likar. 2(4): 51—57. 5. Lasytsia OL, Lasytsia TS, Nedelska SM. (2004). Alerholohiia dytiachoho viku. Kyiv: Knyha plius. 6. Ohotnikova EN. (2010). Atopicheskiy dermatit: problemne voprosyi i puti ih resheniya. Sovremennaya pediatriya. 6(34): 67—72. 7. Snovskaya MA, Kozhevnikova OV, Gevorkyan AK. (2010). Faktoryi riska razvitiya atopicheskih bolezney i sovremennyie metodyi diagnostiki. Pediatricheskaya farmakologiya: nauchno-prakticheskiy zhurnal Soyuza pediatrov Rossii. 7; 5: 99—103.